Looking to shave your dining time at Disney World so you can get back to the rides and attractions? 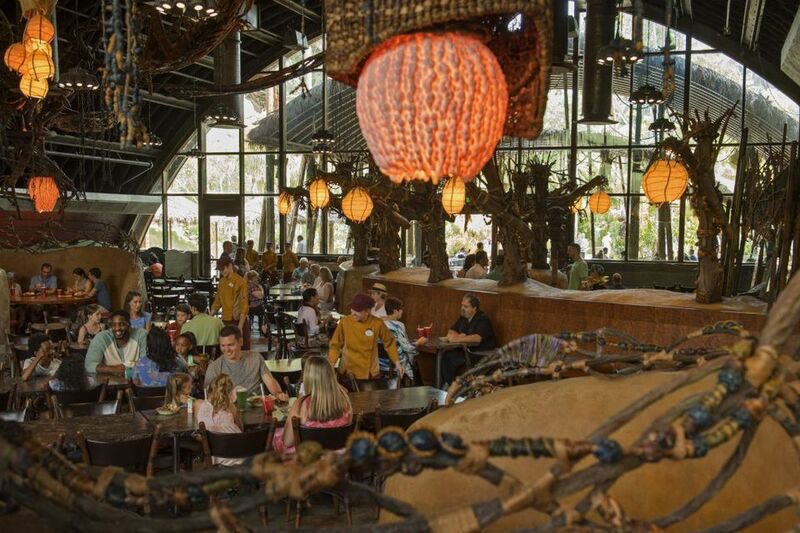 You will definitely want to check out the food ordering service, Mobile Order, which is offered in Animal Kingdom Park. Mobile Order, found in the My Disney Experience app, offers the added convenience of being able to place orders and purchase meals on-the-go. You select menu items, customize orders, and pre-pay for meals during park visits—all within the app. Then you just show up, take your food, and enjoy your meal. The new Mobile Order service is a feature of the My Disney Experience app, which combines a powerful smartphone technology with wearable radio-frequency identification (RFID) bracelets called MagicBands. For families, the result is a truly seamless experience that starts with your pre-trip planning, letting you schedule ​FastPass+ and dining experiences, and continues during your stay at Disney World. The app and MagicBand work together to hold all the components of your Disney World vacation—theme park ticket, room key, FastPass+ choices, dining reservations, PhotoPass—and your MagicBand also acts as a resort charge card. Mobile Order isn't right for everyone. Anyone with special dietary restrictions or those who want to use discounts or redeem dining plan coupons must place their order with a cashier. Inside the My Disney Experience app, select Mobile Order. Select your desired restaurant from among available options. Make your selections. Be aware that items can be customized and added to your order. Don't forget to order desserts and beverages. Double check your order. You can review your order details at any time. Tap "purchase" to submit your order. Your credit card information will already be stored in the app. When you are in the vicinity of your restaurant, tap "I'm here—prepare my order." This will notify the kitchen to begin making your meal. You can track your order with the app. You will receive a notification when your order is ready. At the restaurant, one parent (or perhaps older kids) can locate a free table and wait while the other parent retrieves your meal. Go to the designated pick-up window with the Mobile Order pick-up sign. Open the app and show the attendant the notification alert with your order number. Take your tray and enjoy your meal with your family. Snack Locations: These kiosks and casual eateries offer light snacks, ice cream, milkshakes, and other tasty treats. Quick Service Dining: These eateries are generally either cafeteria-style or counter-service venues. You order or take the food items that you want, pay for your food and sit down to enjoy your meal. Fast Casual Dining: These eateries offer table service in a casual setting. These venues are themed and lots of fun, but still affordable. You can use the My Disney Experience app to make advance reservations up to 180 days in advance. Character Dining: These meals feature appearances by favorite Disney characters and the chance for meet-and-greets and photo opportunities. You can use the My Disney Experience app to make advance reservations for character meals up to 180 days in advance of your visit. Dinner Shows: Several venues offer dinner accompanied by a live entertainment show. Use the My Disney Experience app to make advance reservations up to 180 days before your visit. Fine Dining: These restaurants offer table service in a dressier setting. This category is primarily located at Disney World Resort hotels and the Disney Springs dining, shopping, and entertainment district. Is Six Flags' Line-Skipping Flash Pass Worth the Cost?